The infinite versus finite BC relate to whether or not the outer contour surface is ignored when calculating bond projections to approximate cases of missing bonds. The 0.5 v. 085 relate to a threshold for ``close enough'' to decide if a bond is present in the infinite boundary case. In the tilted case only 0.5 was used. 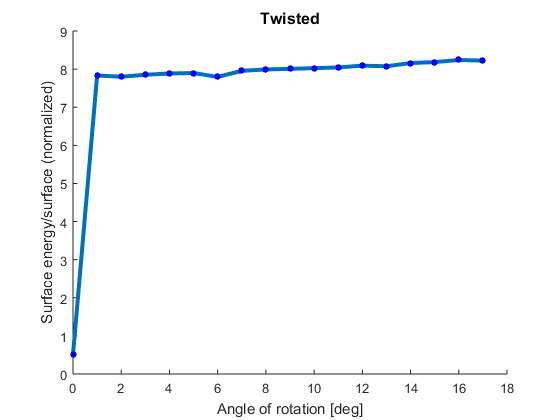 In both twisted cases surface energy close to zero when rotation is zero. In infinite case surface energy close to constant because no. 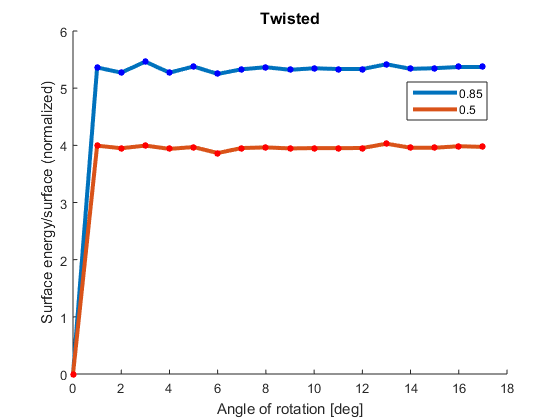 of bonds do not change a lot while rotating. 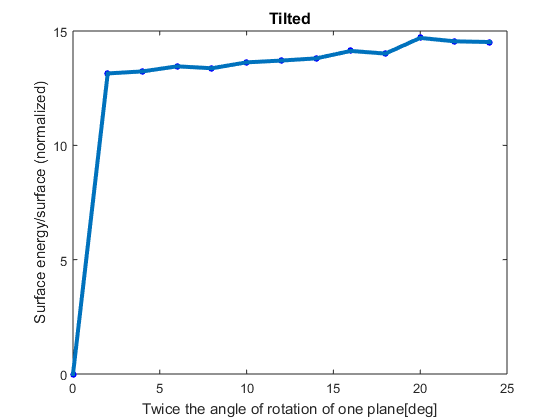 In the tilted case a much stronger angular dependence is seen.